The Northern lights are at their most frequent in late autumn and winter/early spring. October, February and March are the best months for auroral observations. 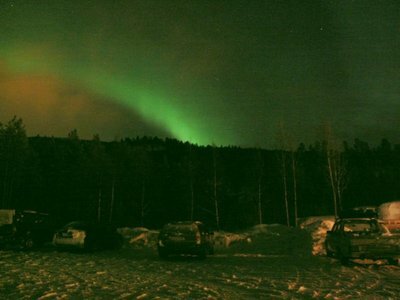 The highest northern lights frequency is between 6 pm and 1 am. To get full value from the show you should avoid the full moon and places with a lot of light as they make the experience considerably paler. Seeing the northern lights is a mystical moment. Sometimes the northern lights come all together, dancing across the sky, orange, purple, green and sunset red. Other times they are simply curtains of computer-screen green or a twister of wispy light. The northern lights are never the same twice. The Northern Lights; nature's own light show, are solar winds that meet the atmosphere in a zone around the magnetic North Pole, forming arches, waves and curls of light moving across the sky, with sudden rays of light shooting down from space.